I am delighted to hear that a book containing essays and art commentaries by the late Fr Michael Morris will be released on December 8th. 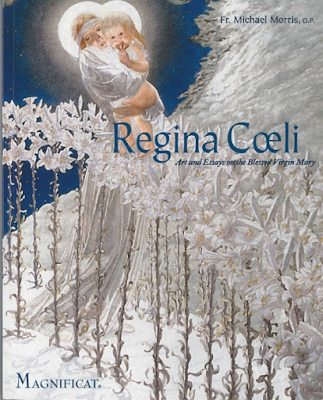 It is published by Magnificat, for whom he wrote for many years. I haven’t read the book, but will review it for this column as soon as I get hold of a copy. For those who can make it, the launch will be at the Dominican School of Philosophy and Theology in Berkeley, California, at 4:30 pm on December 8th; the speakers will be art historian Dr Kathryn Barush, and Fr Christ Renz, the Academic Dean of the DSPT. It is especially timely for me. I attended a lecture at the Acton Institute last summer about the crisis of the culture by Dr Carrie Gress, who commented on the “Benedict Option” movement which has grown up out of the angst arising from the conflict between Christian and secular culture. In the course of this lecture, she said that history and theology seem to suggest that a better response might be to look to Mary as a crucial guide in our efforts to evangelize the culture. I felt that she was on to something, and have heard a rumor since that she is in the process of writing a “Marian Option” book. If that is so, I can’t wait to read it; I will keep you posted. Dr Gress’ idea seemed to me to come from the same place as the Men’s Holy League, recently established under the patronage of Cardinal Burke. I am anticipating the Fr Michael’s book will have much material to connect with this theme.